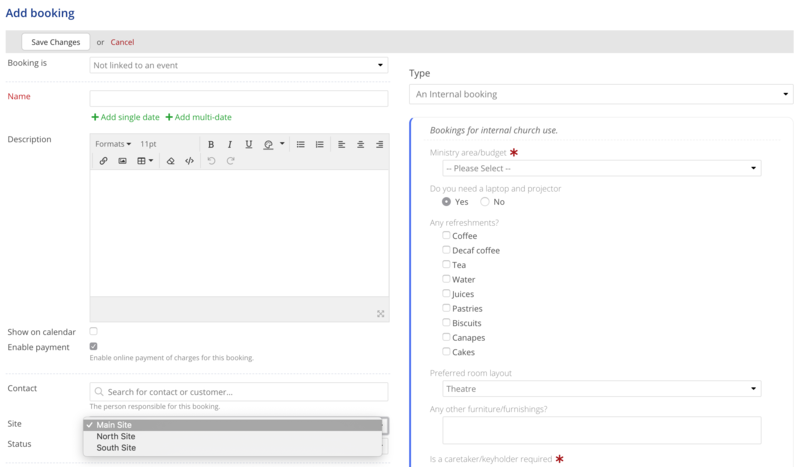 For churches that operate over multiple sites, campuses or geographic worshipping locations, ChurchSuite includes a fantastic multi-site feature that allows you to assign people and other details within in your ChurchSuite database to a particular site. The process of setting up your various sites is really simple - it begins with adding each site and then assigning the user permissions to each site - without permissions, your users will be able to access your newly added site(s)! 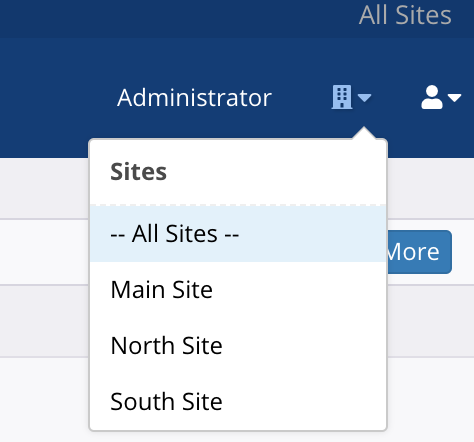 To add a new site, head into the Administrator menu and select the Profile menu. Scroll down the Profile page to the Sites section and click Add site button right at the bottom of the page. Enter a Name of the site, the address and postcode, and select a site colour to distinguish your sites on location maps. Click Save Changes before navigating away from the page. You can return to the list of Sites at any time in the future to make changes to a site - simply select Edit from the action cog menu on the right-hand side of a site in the list. Next, you must assign user permissions to your site, otherwise no other users will be able to access the new site! Still within the Administrator menu, switch to the Users section. For each user in turn, select Edit. Scroll down the user's profile page and locate the Sites section. Tick the various site(s) the user is to be assigned permissions for. Save your changes before navigating away from the page or moving on to the next user account. Having now created your site(s) and assigned user permissions, each user will be able to switch between specific sites, or view as All Sites (if they have permissions for all your sites), or view as My Sites (if they have permissions for more than one, but not all of your sites) - changing sites is done by hovering the cursor over Sites selector located to the right of the Administrator menu, and selecting a site ti view from the list. ...but this user only has permission for two of the three sites - they can view specific sites, all My Sites (both the sites they have permission for). Throughout ChurchSuite, viewing the various list pages in each module will display a "Site" column. In the following example from the Address Book > Contacts page, the site column shows the site initials - 'MS' or 'Main Site' in this case - hovering your cursor over the site initials reveals the full site name. Switching from All Sites or My Sites to a specific Site will filter the list for people from just that specific site. This is true of every list, page or report in ChurchSuite - the results and content displayed always the respect the site(s) currently being viewed. Each module in ChurchSuite has multi-site functionality. This begins in the Address Book and Children modules where a contact or child must be assigned to a site. A contact or child can only be assigned to one site. This would essentially be the primary site/campus where that person receives their pastoral care or perhaps where they were attending, worshipping, giving, serving, or participating. Smart Tags include a Site condition that can be added to the Tag. In order to create a Smart Tag with the "Site" condition, or to view the matching results of a Smart Tag with a "Site" condition, the user must be viewing the Tag as "All Sites" or "My Sites". ...or, for Address Book Embed, to create site-specific embed code to suit the web page the newcomer form is being embedded into. 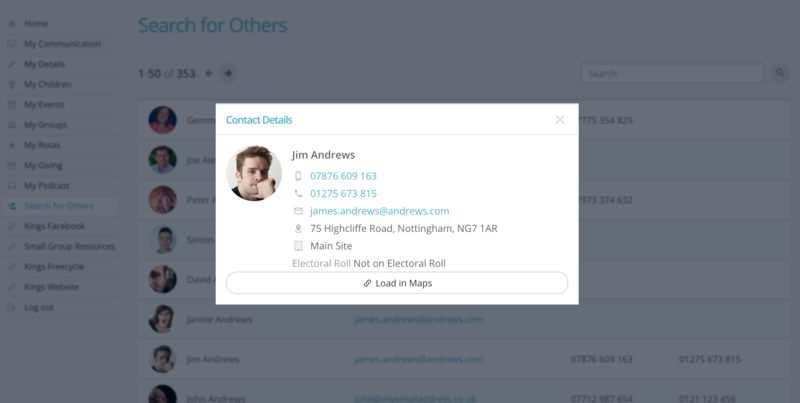 In the Giving module, giver profiles are assigned to the same site as the underlying linked Address Book contact. For unlinked givers who do not have a corresponding contact in the Address Book, you can select which Site the giver profile is assigned. Note: For UK churches, multi-site functionality is not suitable where each site has its own charity number and HMRC account for separate Gift Aid reclaims. If each site is a separate charity with its own Gift Aid reclaim, you would need a separate ChurchSuite account - the Giving module can only have one set of HMRC Online credentials. When creating a new Ministry, or editing an existing one, you have the option to specify the Site to which the ministry belongs. Ordinarily, only contacts within their own Site can be added as members of the ministry, however contacts are able to participate in the ministries and rotas of your other sites if you wish - through a simple module option. In the Rotas module options, there is the option to set whether rota members can be selected from Just the ministry's site or All sites - see below. When creating a new Group, or editing an existing one, you have the option to specify the Site to which the small group belongs. Small groups can be either site-specific, or you can create All Sites groups. Ordinarily, only contacts within their own Site can be added as members of the group, however contacts are able to participate in the small groups of your other sites if you wish, through a simple module option. In the Small Groups module options, there is the option to set whether group members can be selected from Just the group's site or All sites - see below. Within the Children module, a children/youth gathering needs to be created for each of your Sites. Groups added to the site-specific gathering belong to that site. While a child contact is primarily assigned to one site, they can still be added as group members of gathering of another site. Attendance is recorded against each child contact for all the groups they attend, irrespective of the site of the gathering. In the Calendar module you can specify which Site an event belongs to. Currently it is not possible to create events that exist in more than one site - an event can either be All sites or a 'specific site'. However, it is possible to duplicate an event for multiple specific sites - so you could have two identical events, one visible for Site A and Site C that is not visible to people in Site B. You will create site-specific attendance categories for each of your Sites. Then, when entering each week's attendance data, you will specify the date and site of the data, adding a separate set of data for each site and for the categories of that site. Within the Bookings module, you can specify the Site to which a Resource belongs. Resources can be site-specific, or shared across All Sites. For example, if you have a clergy member responsible for funerals across any site, you could set that clergy member as an "All Sites" resource so that they can be assigned to funeral bookings created in any site. When adding a booking, you will specify the Site for the booking. Unless the Site is specified as a field within the incoming data being imported, contact data is always imported into the Site that is being viewed. 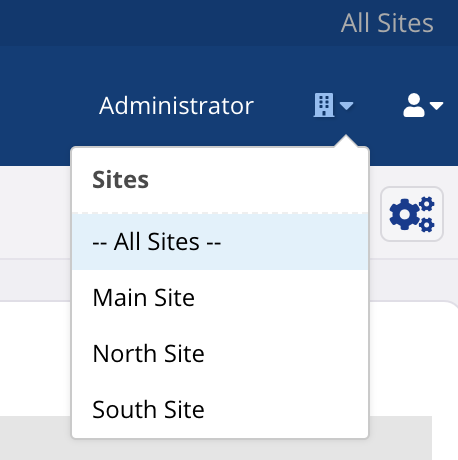 So, for example, to import data into the "South" site, select "South" from the site selector and proceed with importing your data into the respective module(s) within that Site. If you are viewing as All Sites or My Sites, data will be imported into the first Site that was created on your ChurchSuite account. 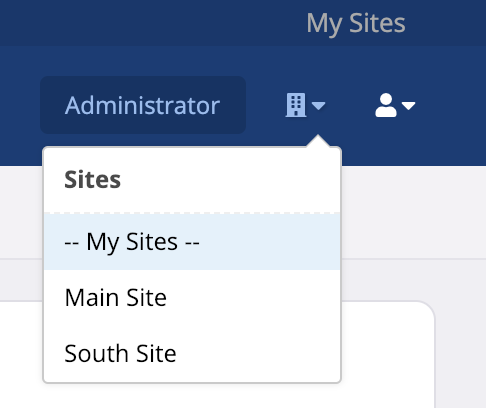 You can use the Sites selector to change between different sites before you import data for each site. A visual indicator of your current site is shown in the very top right-hand corner of your browser window. When viewing any of ChurchSuite's location reports as All Sites and My Sites (E.g. 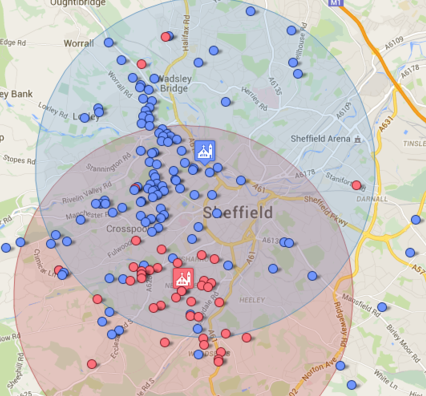 "Address Book" > "Reports" > "Locations", each site and its respective contacts are shown in a different colour on the map view. Up to five different colours (red, blue, green, orange, yellow) can be shown, so each site will show in its own colour. For multi-site churches with more than five sites, the colours will cycle again. Regrettably this limit is beyond our control and is a limit imposed by the map integration we use. It is not possible to assign custom colours to sites - this functionality is assigned by the map integration we use - colours are assigned in order, red, blue, green, orange, and yellow. Note: For multi-site locations to work correctly, you must specify the correct postcode/zip code for each Site in "Administrator" > "Profile". ChurchSuite's member-facing My ChurchSuite platform is also multi-site compatible. Ordinarily churches only want site-specific contact search so that site members can only search and view the contact details of other church members from their site only. 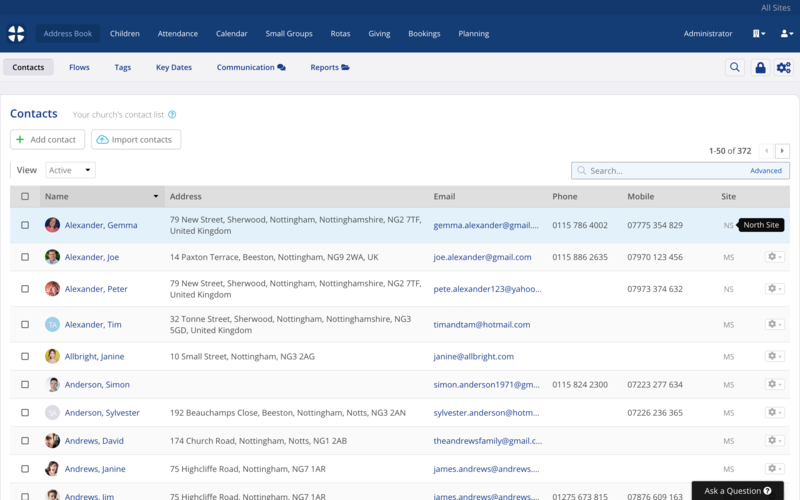 However, in the Address Book module options it is also possible to broaden contact search to All Sites. Note that it is not currently possible to search combinations of sites e.g. Site A and Site C but not Site B - it's either the contact's own site or all sites. 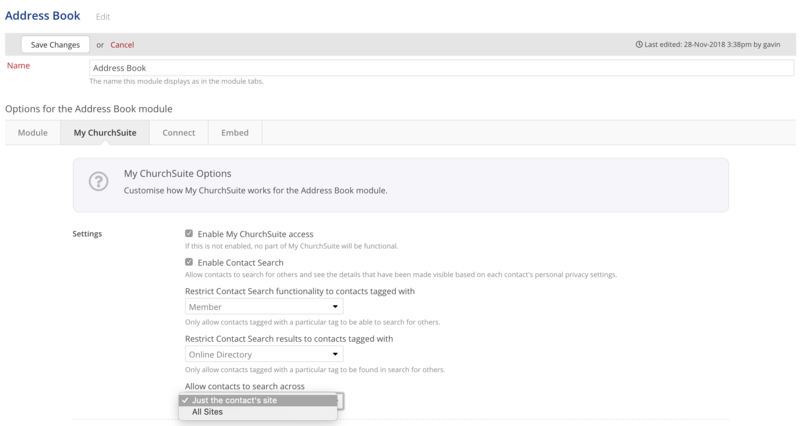 To change the My ChurchSuite "Search for Others" site search settings, head into your Address Book module options and select the My ChurchSuite tab. In the Settings section, the last setting is to allow contacts to search just their own search or all sites. Save your changes before navigating away from the page. When searching for contacts across "All sites" in My ChurchSuite, the contact's site is shown in their contact details - see example below "Main Site". Please read this section carefully BEFORE deleting a site. Deleting a site is irreversible! When deleting a site, it will be helpful to understand what happens to the existing module data related to the site being deleted. Since site deletion has irreversible consequences, the User will be invited to select or confirm the site that existing site data is to be re-assigned, followed by an "I CONFIRM" confirmation. If there is only one site remaining, that alternative site will be pre-selected and all site-specific data will be re-assigned to that one remaining site. If you do not want site data to be re-assigned - perhaps because you no longer wish to retain some or all of the data for that site - it should first be deleted within each module, before deleting the site - remember, it may be harder to identify the deleted site's original data within each module once it has be re-assigned! When new sites are added to the system, a site ID for the new site is created within your underlying data. Your original/first site will have been assigned a site ID of "1", subsequent sites will then be sequentially numbered. Even if you re-order your sites (perhaps so that site ID_1 is not first in your list of sites), the Site with ID_1 cannot be deleted - the "Delete" button is hidden for that site. Address Book - Contacts (active, archived and pending) are re-assigned to the designated alternative site. No contacts or their associated data are deleted. Contacts continue to be linked to the spouse/partner and children. Children - Children (active, archived and pending) are re-assigned to the designated alternative site. No children or their associated data are deleted. Gatherings, and their associated groups and historic session attendance are re-assigned to the designated alternative site. Visitors (Children > Reports > Visitors) are unaffected by a site deletion, even if those visitors were added because they checked in to a session for a Gathering that has been re-assigned. Children continue to be linked to their linked parent(s). Attendance - all site-specific attendance categories, and the associated historic attendance data in those categories, will be re-assigned to the designated alternative site. Calendar - all site-specific events (past and future) will be re-assigned to the designated alternative site. To avoid any confusion with the existing events of the alternative site, you may prefer to delete unwanted events, before proceeding with a site deletion. However, note that deleting an event will delete all associated event data, including tickets and payments/refunds, signups, invites, and event check-in attendance data. You may also wish to consider any linked bookings and booking charges for those events too. Small Groups - all site-specific groups (past, active and future) will be re-assigned to the designated alternative site. All historic group attendance is retained. To avoid any confusion with the existing small groups in the alternative site, you may prefer to delete or "close" unwanted small groups by adding a group end date, before proceeding with a site deletion. However, note that deleting a group will delete all associated group attendance data. Rotas - all ministries (active and archived) will be re-assigned to the designated alternative site. To avoid any confusion with the existing ministries of the alternative site, you may prefer to delete, rename or archive unwanted ministries and rotas, before proceeding with a site deletion. Giving - givers linked to contacts in the site being deleted (active and archived), along with all their associated donation data, pledges and gift aid declarations, will continue to be linked and will be re-assigned to the designated alternative site. As per HMRC rules, Gift Aid claims are site specific because they relate to the site of the giver who made the donations within the claim. Site-specific gift aid claims are therefore re-assigned to the alternative designated site of the corresponding givers; essentially maintaining the integrity of past claims made. Gift Aid claims are never deleted and are always retained in the list of claims within your Giving module. Giving (UK only) - each site has it's own Small Donations Scheme (SDS) giver profile, a "system" giver profile that gets added when a new site is added. When a site is deleted, if there are no donations linked to the SDS giver, it is delete. If, however, there are donations linked to the giver then the SDS giver profile is not deleted, but is re-assigned to the designated alternative site and renamed e.g. Small Donations [site name] (Deleted]). Bookings - bookings (past and future, active, pending and cancelled) are all re-assigned to the designated alternative site. Site-specific resources are also re-assigned to the designated alternative site. To avoid any confusion with your existing bookings of the alternative site, you may prefer to delete or set cancelled all unwanted bookings, before proceeding with a site deletion. However, note that deleting a booking will delete all associated booking data, including booking charges and payment-related data. Administrator - site permissions for the site being deleted are removed from each user account. Smart Tags with a "Site" condition will break and need to be manually updated. Bear in mind that those smart tags may be being used for event and external link visibility restrictions in My ChurchSuite, and the tag-syncing used in your MailChimp integration (if applicable). When contacts, children and givers are re-assigned to a designated alternative account, the addition of all those new people will affect future site-specific reporting and those that may now be included in Smart Tag results. This may in turn have consequences on those being tag-synced in your MailChimp integration, resulting in new people being added to a subscriber list. Synced contacts in your Planning Center integration will continue to be synced. Users (and Administrators) who only had single-site permissions for the deleted site will no longer have any module access within ChurchSuite. While their login to ChurchSuite will still be authenticated and accepted, they'll be taken to an empty summary page. You should either delete (or archive) the user if appropriate, or update their account to have new site permissions. Address Book and Children module statistics (seen in the Statistics report in each respective module) are retained for the deleted sites. Any embedded ChurchSuite forms or pages on your website with site-specific embed customisation, including the Address Book embed, Small group lists and maps, calendar embed, and featured event embed - these will all break and will need to be re-embedded. My ChurchSuite access for re-assigned contacts is unaffected by a site deletion. Use of site-specific JSON feeds or API applications may also break and need to be updated. You may need to review and update your data protection policies and/or privacy notice to reflect any change of use of people's personal information resulting from that information being re-assigned to a new designated site. Remember, their personal data will be merged into a different site - essentially those people are joining a new data set, with the potential for their personal information to now be accessed by different users in ChurchSuite or visible to a different group of church members in My ChurchSuite. Under the GDPR, and depending on your DPIA and lawful basis/bases for processing, this may require the data subject's prior consent. You should seek professional legal guidance to see how a site deletion and re-assignment of "people data" affects your organisation.